New BW/OL Diversion and screen. Bergevin Williams old push-up gravel dam, a fish barrier when under low flow conditions. Steelhead spawning in a spring creek tributary to the Walla Walla River. 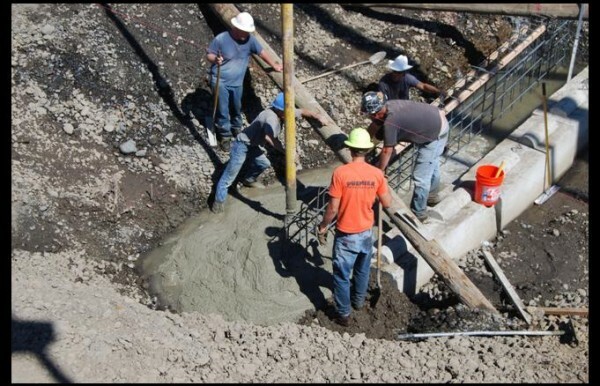 Pouring the base pad for the diversion structure. Placement of the HDPE pipe in the trench going under the WW river. 26" fusion-welded HDPE pipe staged to go under Hwy 12. Air-blast system cleaning debris off the new fish-friendly screen system. Some of the water rights for farms served by the Bergevin-Williams and Old Lowden (BW-OL) ditches date back to 1870 and are among the oldest in the region. These serve very productive farms that benefit the entire valley. 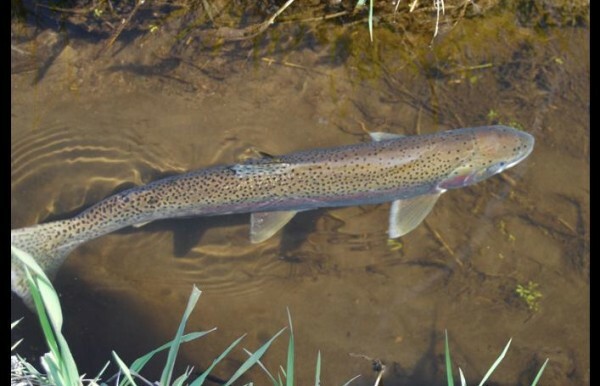 So when Mid-Columbia Steelhead were listed as threatened under the Endangered Species Act, these irrigators readily accepted help from the Conservation District and the Washington Department of Fish and Wildlife in changing their operations. 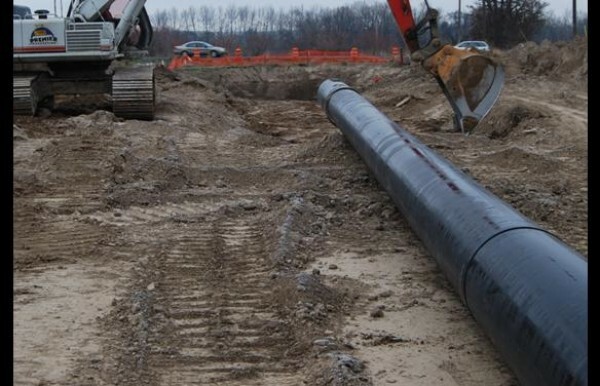 Read the Final Report – BW-OL Pipeline and Diversion for complete details on this project. Historically both Old Lowden and Bergevin-Williams irrigators had built gravel push up dams to divert water from the river. But changes in flow conditions sometimes led to fish passage obstructions and the possibility of fish stranding. After a new pneumatic dam and fish ladder were constructed for nearby irrigators (Lowden 2 and Garden City) it became possible to consider consolidating the BW-OL diversions and moving them to that site, thus eliminating the two gravel push-up dams. In addition, talks began of possibly piping the old inefficient earthen irrigation ditches. Water saved through increased efficiency could be set aside in the Trust Water Rights Program and left in the river for fish. 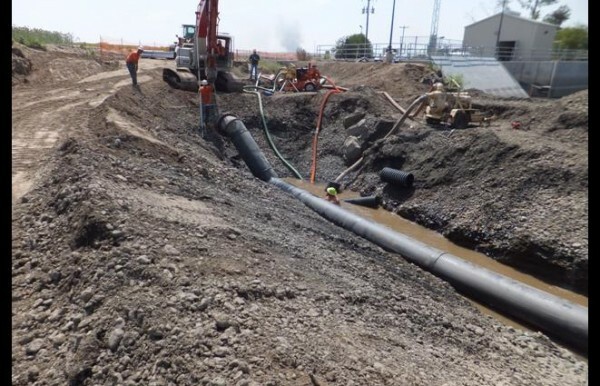 The irrigators of the BW-OL ditches and the Conservation District began plans to build a consolidated irrigation diversion and to pipe the open ditches. 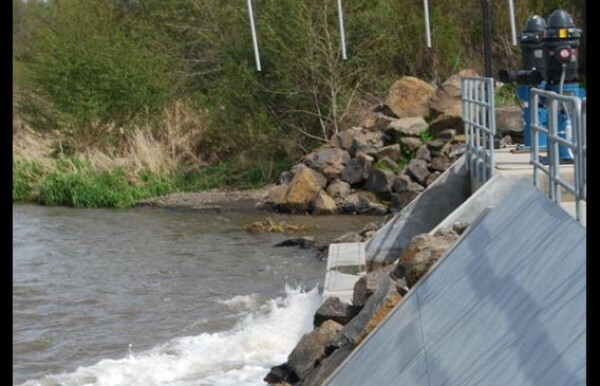 Bonneville Power Administration provided funding to construct the diversion as it would eliminate two potential fish passage barriers. And, with an estimated 4.5 cubic feet per second of potential water savings, the Washington Dept. 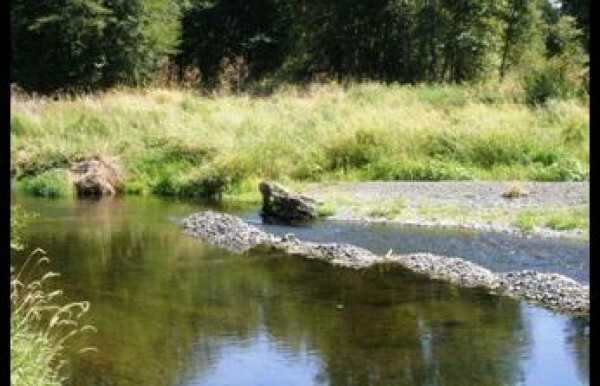 of Ecology (WA-DOE) agreed to provide funding to pipe the Bergevin-William/Old Lowden ditches. Farmers would benefit by having an updated, reliable irrigation water delivery system that allowed them to manage their water more efficiently and the public would benefit from improved fish passage and flows. The project was done in two phases. 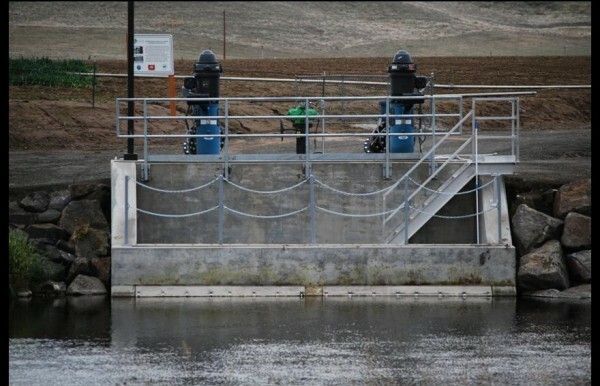 Installing the diversion came first, with the diversion and fish screen installed on the south side of the Walla Walla River at River Mile (RM) 31. The new diversion structure used the existing pneumatic dam serving the Lowden 2/Garden City ditches. 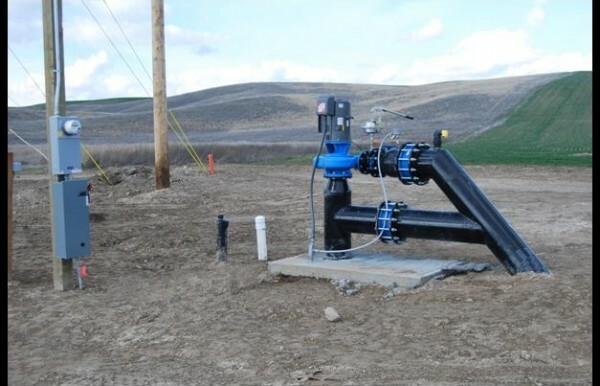 A 213-foot long pipeline of 28-inch high density polyethylene (HDPE) fusion-welded pipe was installed from the new diversion structure to the north side of the Walla Walla River where it connected to the new piped irrigation water conveyance system. The second phase was the pipeline itself, consisting of approximately 9.6 miles of piping to serve 1,840 acres, with 18 new or modified pumping stations and 11 metering stations. The project saves an estimated 2,405 acre-feet of water. Both phases of the project faced some unique hurdles. For example, the BW-OL gravel push-up dams were located downstream of the pneumatic dam and fish ladder. Moving the diversion upstream, even to save water and benefit fish, meant water was taken out of the river upstream, reducing flows in a small section of the river. Regulators had to be convinced that the benefits for endangered fish species far outweighed this minor negative impact. Construction of the pipeline needed to be done during the winter months when irrigation was at its lowest point, leading to construction taking place in some of the wettest and coldest times of the year. But these and other hurdles were overcome, and today the BW-OL diversion and pipeline are in full operation, providing irrigation water to over 1800 acres of highly productive cropland and saving over 2,400 acre-feet of water each year, allowing for continued irrigation and water for fish. It is an impressive project testifying to the will of many parties, each with different priorities and objectives, coming together to create a system that benefits everyone. For the full story, with history, costs, and construction details, read the Final Report – BW-OL Pipeline and Diversion.